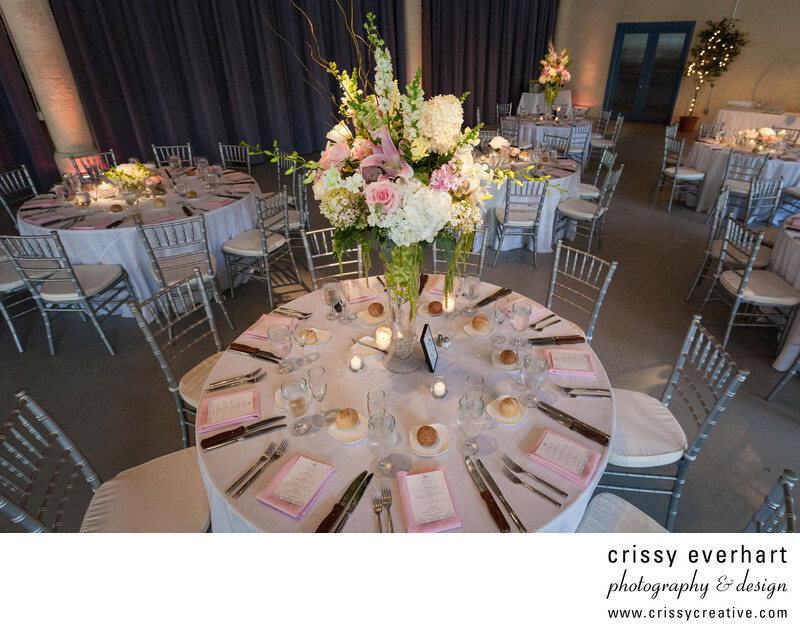 Philadelphia venue with silver chairs and pink and white tablecloths. Tall floral centerpieces in pink, white, and green top some tables, and short one of the same color scheme at the others. Christmas lights are string on the indoor trees and in the rafters for effect. Location: 3502 Scotts Lane, Philadelphia, PA 19129 .